Stratasys recently announced plans to acquire MakerBot as part of a stock deal valued at more than $400 million. The deal will bring a leader in industrial 3D printing together with one of the emerging leaders in desktop 3D printing to help speed along the adoption of 3D printing across all categories, the company said in a press release on the matter. Moving forward, MakerBot will become a subsidiary of Stratasys and will continue to operate as a separate entity. That means MakerBot will continue to work the desktop / consumer market as they have been while Stratasys will still focus on the industrial side of 3D printing. MakerBot launched in 2009 and although not a huge commercial success by any stretch of the imagination, they have done a lot for the at-home 3D printing industry by selling 22,000 3D printers to date. 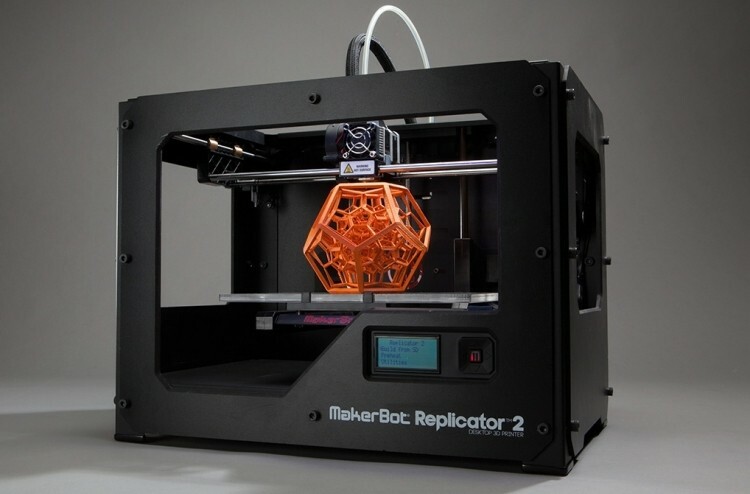 The company’s most recent product, the Replicator 2, launched in September 2012 and has already sold around 11,000 units. It’s seemingly good news for all parties involved, perhaps especially for MakerBot as they will be able to tap into Stratasys’ vast wealth of experience and gain access to what is likely more advanced technologies – stuff that could ultimately wind up in desktop 3D printers one day. What’s more, MakerBot will now have more marketing dollars to help pedal their wares. What’s your take on 3D printers? Do you think it’s an emerging market that’ll one day have a huge impact or will it simply remain a hobby for the wealthy?